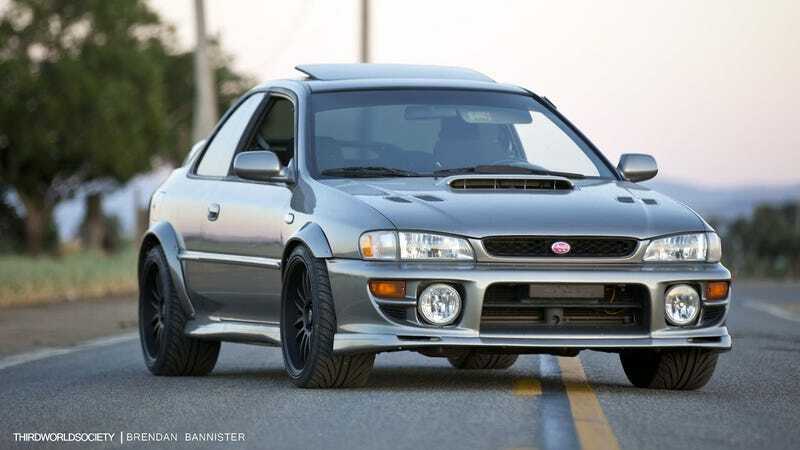 As some of you know my gf’s 2.5rs (not the one in the photo) was stolen the last Friday in September. It was recovered three days later by police and held in inpound for about a week. On Friday we got to go take a look at the car at the shop that will be performing the inspection and repairs on the vehicle. Below is a list of the contents recovered in the vehicle. The mail and cell phone we turned over to police, I asked if they wanted the dildos but they politely declined. One pair of jordans were kept to clean thoroughly and sell and the Leicas will be hitting ebay soon. Up until this point we had no idea how the vehicle was recovered and thought that they found it parked on the side of the road. Turns out a cop saw the car, ran the plates and saw it was stolen and pulled it over. One woman was arrested for the theft of the vehicle and an open warrant, the two other passengers in the car at the time were arrested for open warrants. This is somewhat good news because it means the vehicle was driveable at the time of recovery and not just found in a ditch. We are more hopeful now that mechanical damage will be minimal. There was some damage to the rear bumper but insurance will cover that and the new ignition and the replacement altimeter and compass (OEM Option) that was stolen out of the car.